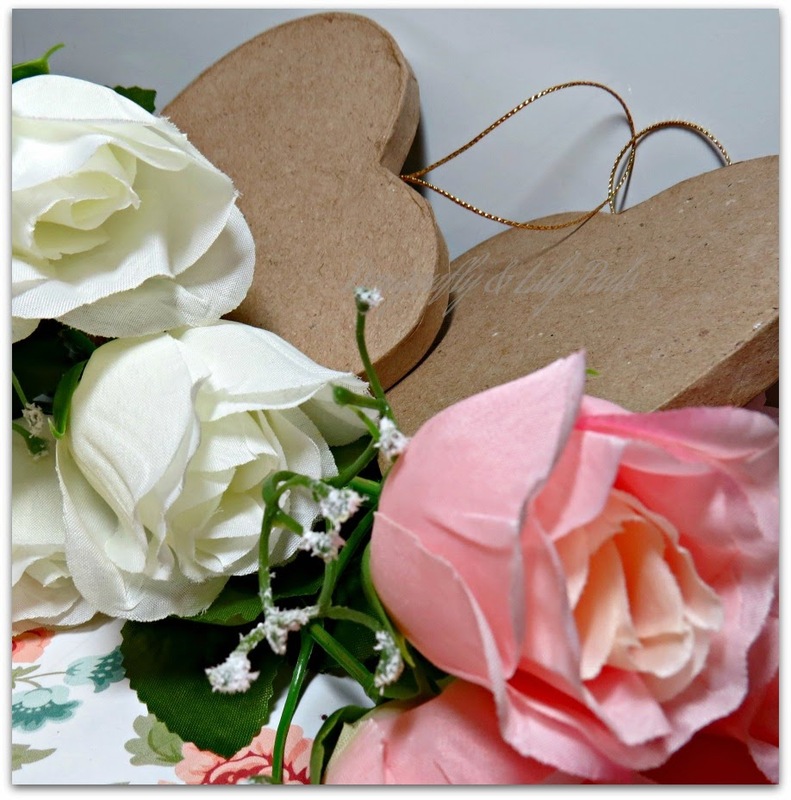 Love is in the air which means my heart is all a flutter. While shopping for craft room storage at a half price sale in January #AHeapOfChangeChallenge. I wandered by the valentine displays as I was piling up the first cart with items I deemed necessary to an organized craft space. (Squirrel) I wanted to make a decoration with materials slightly out of the box. 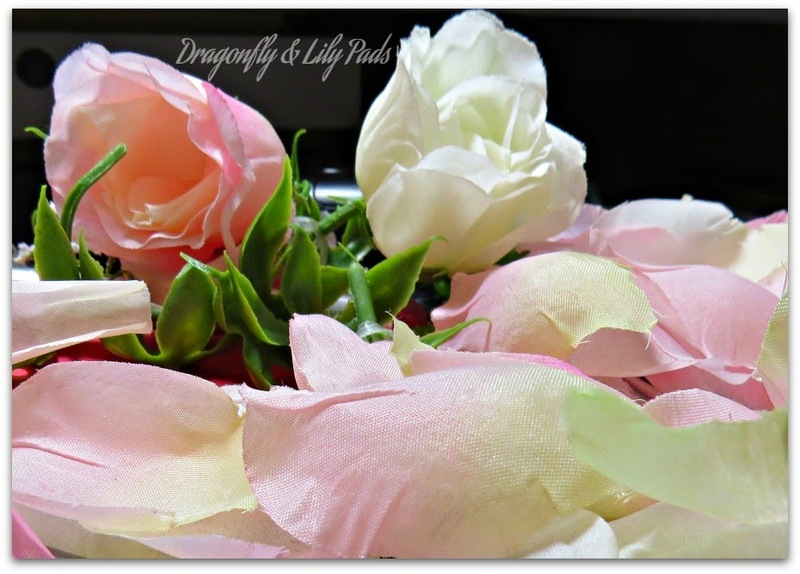 As Prince Charming headed for the second cart I chose a bunch of silk roses in ivory and pink, 2 cardboard hearts and valentine card stock. I already had bakers twine in red, pink and white at home. After the cashier rang up our two carts of sale items we filled the car and headed home. I will be posting about the storage and organized craft room reveal soon. 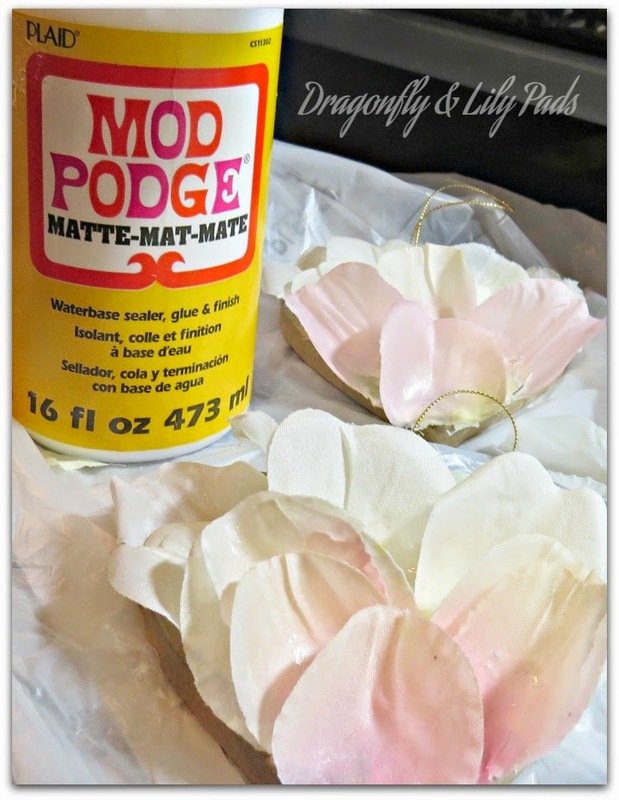 Can you imagine how these rose petals are going to look with Mod Podge adhering them to the card board hearts? 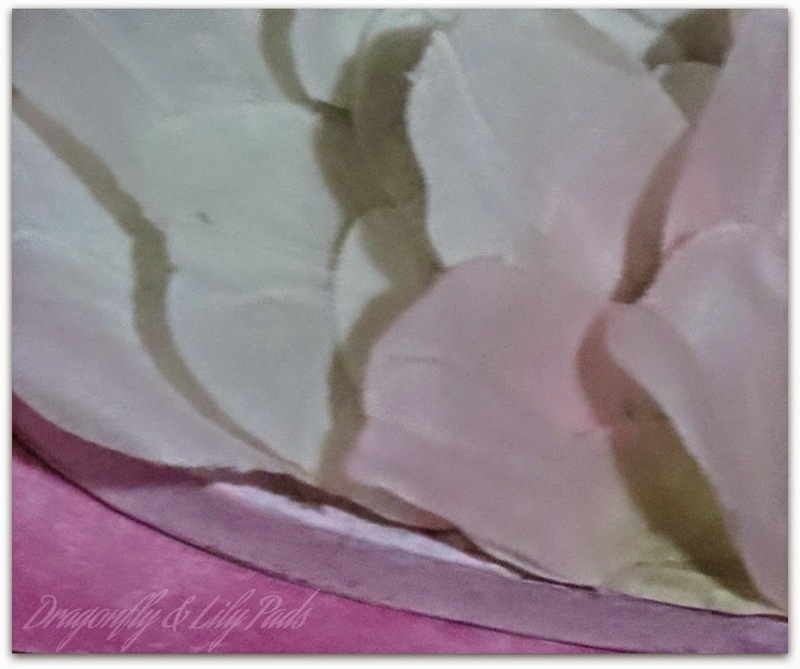 As I was attaching the rose petals I decided an Ombre' effect would be pretty. This part of the project was messy so I used a plastic grocery bag to keep my surface easy to clean. My hands were coated like a paraffin wax spa treatment. The card stock pink was to bright for my taste. I off loaded the Whitewash paint onto a paper towel and swirled a paint brush to soften the color. I loved the effect. After a few minutes of dry time I glued the back of the cardboard to the soften colored pink card stock. I added a little red paint to my whitewash paint to create this soft pink. I painted the edge of the heart and places where the petals let the cardboard peek through. My last detail was to trim the rose petals to make a crisp line at the edges of the heart decoration. 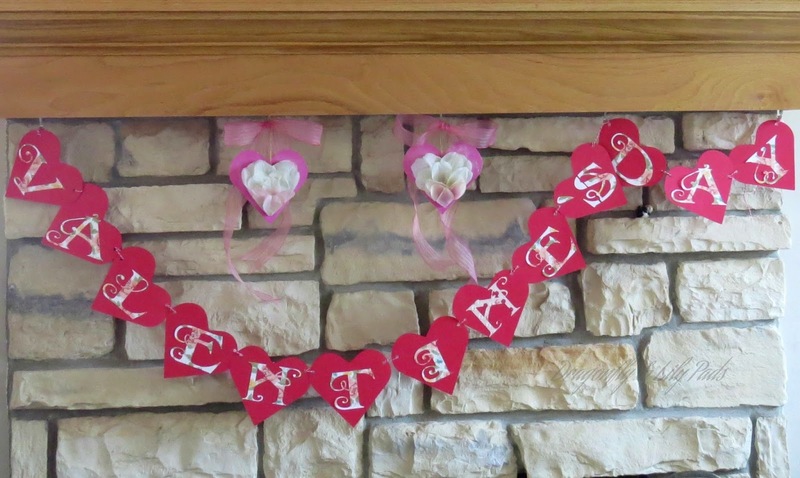 I had fun with this project because I dabbled, went with the flow and simply created what was in my head into what I think is a Sweet Decor for Valentine's Day. To head over to click the title Print & Cut Valentine's Banner. 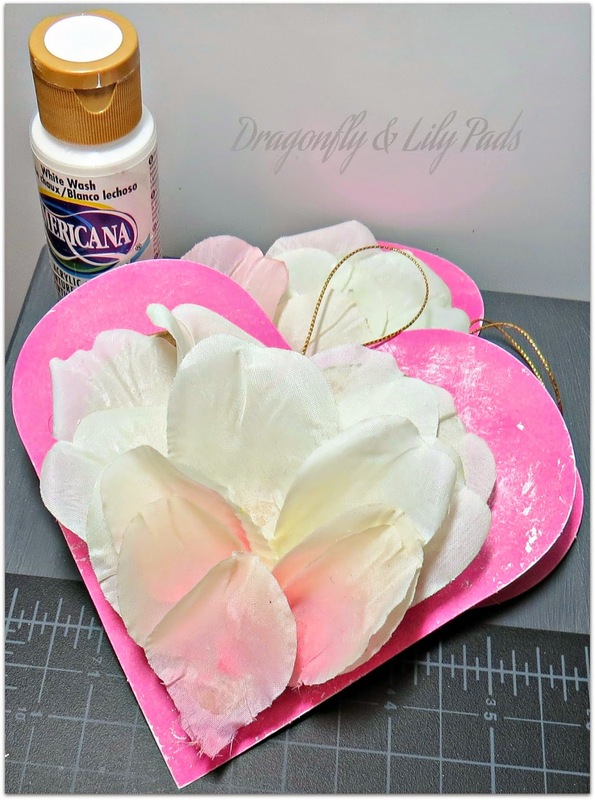 You will see how I made these rose petal hearts to coordinate with my other decor for the Valentine's holiday.